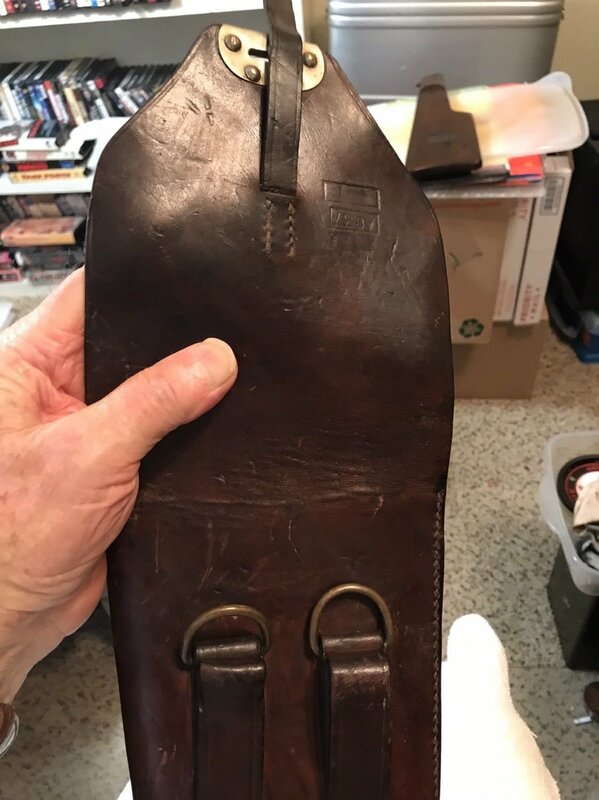 Here's my Browning Hi Power Stock Holster that I have decided to sell for health reasons. 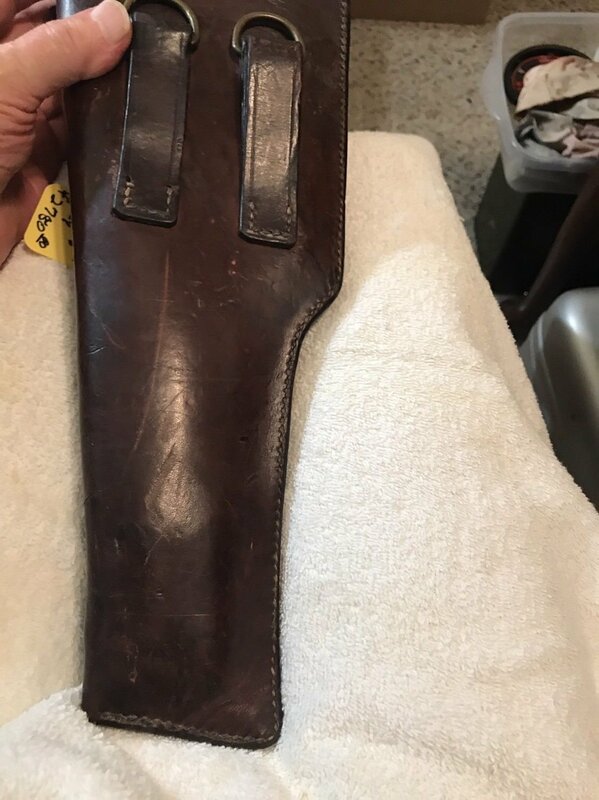 Holster vg+ stock vg+ but even as rare as stock was added sometime after issue probably done during war to replace broken stock. Stock same except had a strap slot. The Belgium stock with the Belgium proofs as rare as holster. Very rare out fit. Had short production run 1936-1938. I bought 3 of these in late sixties , Belgium, Spain and Germany this is the last one.